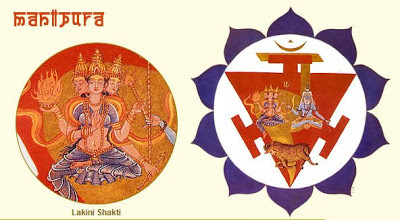 Each of the 7 main chakras within the human system has a presiding, Goddess or Yogini. Within the 64 Yogini Tradition of Tantra, each of these Yoginis has her own attributes, Mantra (sacred sound) and Yantra (sacred geometry). Performing Sadhana with the Shahir Yoginis provides an opening to form a relationship with their energies and teaching. Each Yogini has a unique personality and her own message for our ongoing development. Energetically, this sadhana refines and strengthens the energy in each chakra and the Pranic system as a whole, leading the aspirant into a greater depths of self-knowledge, greater awareness, and ultimately – closer to the truth of their own unique expression and purpose.